It’s a bird, it’s a plane, it’s a Mitsubishi Starion. When it comes to the ‘80s, we think of wide-fenders, pop-up headlights, and hard-lines. The Starion was exactly what that era represented. When the Mitsubishi Starion debuted in 1983, it hit the roads running as a performance competitor to the Mazda RX-7, the Toyota Supra, and some even described it as a budget rival to the Porsche 944. 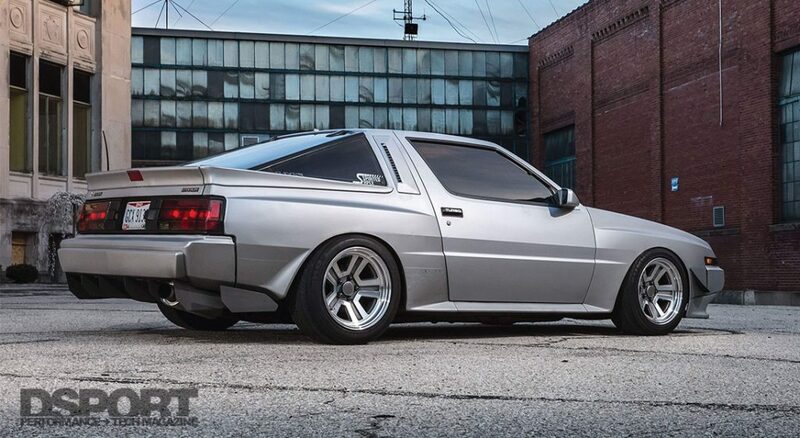 Originally equipped with a 2.6-liter motor that delivered 145 horsepower, Mitsubishi’s original advertisement read, “It ain’t the one you learn on.” Aesthetically, the Starion was offered in a widebody configuration that quickly became one of its most notable characteristics. In 1989, production of the Starion was ceased, making room for Mitsubishi’s Eclipse, and leaving behind a memory of a wild-looking, moderately-capable Starion. 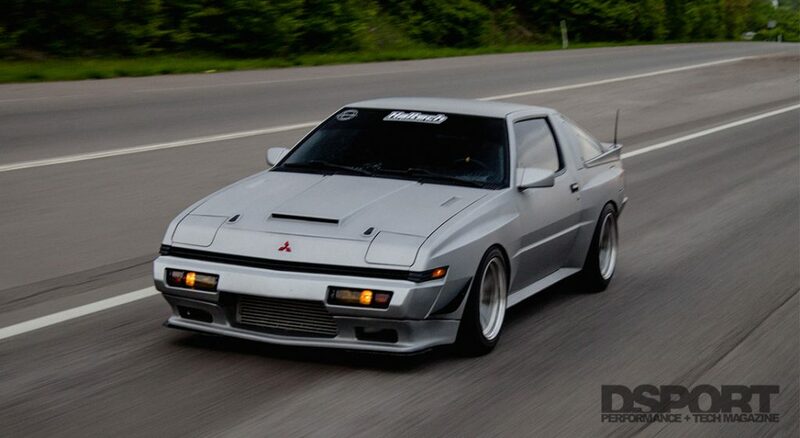 It’s no secret the Mitsubishi Starion is an uncommon car, which is exactly what drew Mikie Sorrell to it. He was enrolled in various graphic and art classes back in high school, some of which involved designing cars. When he was old enough to own his first car, he wanted it to be quite special and untraditional. His friend Tanner White owned two Starions, and Mikie knew he had to have one of them. Although Tanner planned on swapping his engine with an LS1 motor, Mikie wanted to keep the Japanese integrity of his, but with a little flare that could make it far more powerful. In 2007, Sorrell took out his first loan to purchase the 1987 Mitsubishi Starion from his friend in Kingsport, Tennessee where they were both living at the time. 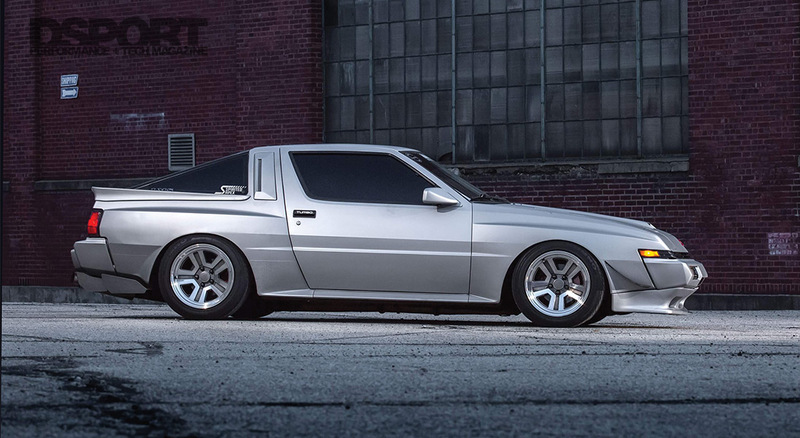 Although owning a Starion wasn’t always on Mikie’s bucket-list, its unique style was enough for him to get excited about the project. “I had no clue what I was getting myself into,” said Mikie Sorrell. “It was stylish, wide-bodied, and it wasn’t a Honda.” Despite his excitement, the plan for the Starion was vague. The unusual nature of the Japanese car made it extremely difficult to find parts for, the internet didn’t inspire too many ideas and the challenges were enough to discourage just about anyone. 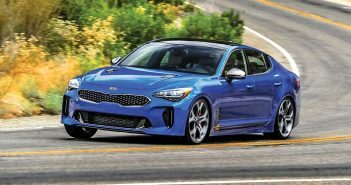 However, after falling in love with the factory fender-flares and the turbocharger with the front-mounted intercooler, Mikie was more than ready to just wing it and roll with the punches. When Mikie first acquired the Starion, it was powered by the factory 2.6-liter G54B engine. In the interest of “going fast,” he started modifying the stock motor, but no one offered off-the-shelf MPI conversion kits for the Starion, which meant he had to use an intake from a FWD Australian Mitsubishi Magna and modify it to fit the Starion. He then gave the Holset turbocharger a shot, the MegaSquirt ECU, and tried various tunings, but the block eventually cracked. “I still loved the car, but I hated the damn motor,” said Mikie. This all led him to go on a shopping spree looking for a new engine that would allow him to reach greater performance. As Mikie started doing his research, his friend was selling a 1JZ motor for a great price. 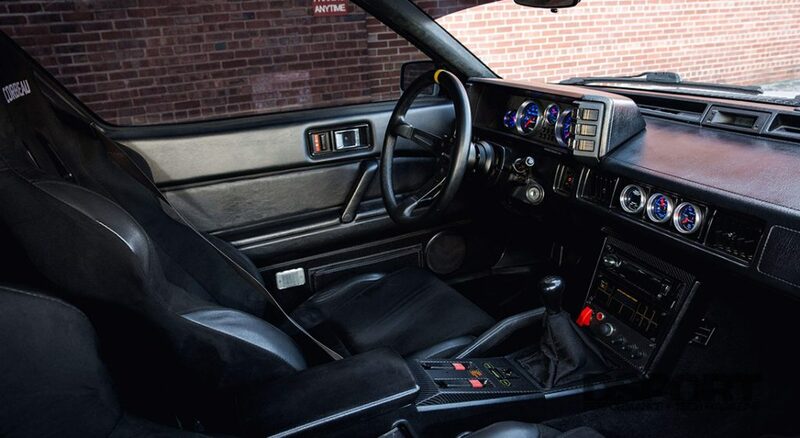 Without hesitation, he hopped in his truck and picked up the new engine along with an R154 transmission, a custom driveshaft built specifically for the Starion, the harness, a radiator, and the ECU. In other words, it was a deal he couldn’t pass. Given that his friend was preparing the 1JZ to go right in the Starion, he guided him onto the right path making the swap rather straight-forward. All he had to do was build a transmission mount for the R154, wire it all together, and he was ready to go for a drive. The interior remains relatively stock, with some important gauges to display various temperatures and other important data, as well as a MOMO steering wheel and Corbeau seats. Whenever there is an engine swap, there has to be a lot of trial by error. When Mikie introduced the Haltech Elite ECU, it opened the door for him to have numerous upgrade options. Initially, he didn’t make much power with the aftermarket ECU, but it allowed the engine to run and idle better. 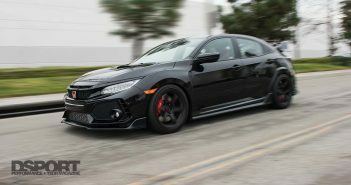 Mikie was making 454whp at first, but after upgrading the fuel system and the cams, he anticipated a 30 to 40 horsepower increase. 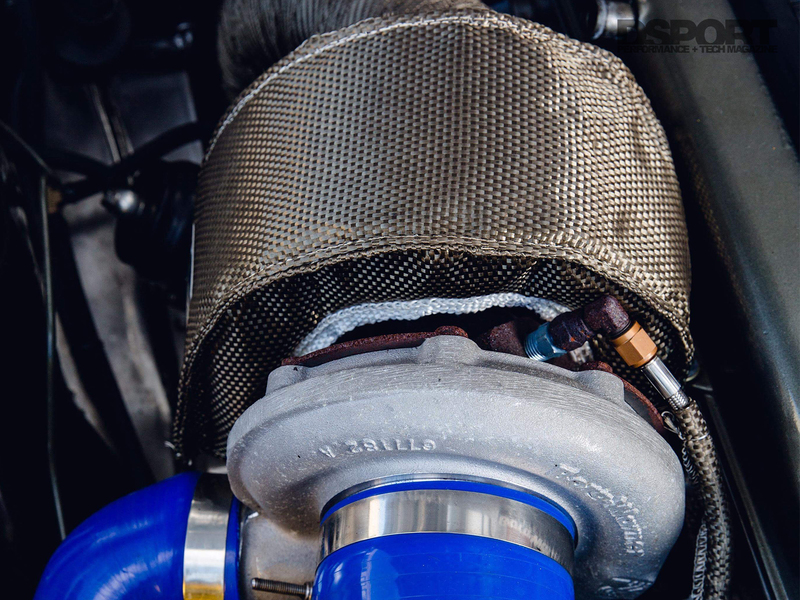 When the car was put on the dyno, he was thrilled to see a 60 horsepower increase with these modifications. Mikie’s 1JZ delivers 512 horsepower and 436 lb-ft of torque at 23psi of boost. The amount of skills Mikie has gained from this project made it all worth his while. The journey wasn’t all smooth sailing, however, and after blowing up the G54B a few times, he was determined to get it right in the stages to come. The numerous times he had to go back in his garage and rebuild the motor were valuable lessons for him that he cherishes dearly. 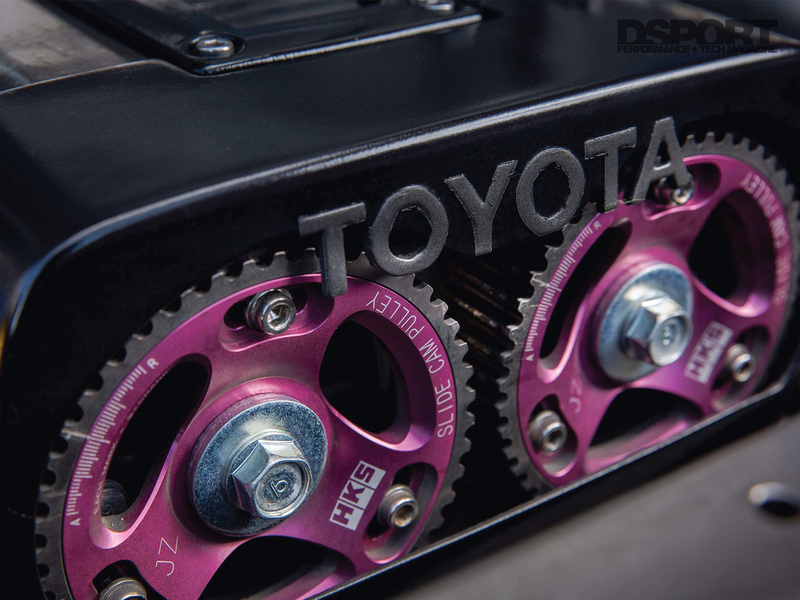 Looking back at the past few years, Mikie believes that instead of rebuilding the stock engine over and over and machining it for a multiport injection to get more power, going straight to the 1JZ swap and its complementary upgrades would’ve saved him a small fortune. After all the skills Sorrell has learned from this build, he simply can’t stop now. His first item on the list is to finish putting the 1JZ head on a 2JZ block to make the 1.5JZ engine. Since he already has the cams and the exhaust manifold for the 1JZ, it makes sense to just use the 2JZ bottom-end and gain 500 more cc of displacement along with more power and torque without wasting parts. He describes it as a “poor man’s stroker kit.” He recently bought his friend Tanner’s other Starion after he was involved in an accident. 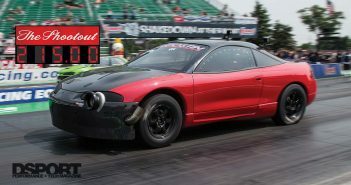 He intends on swapping in an LS1 engine to finish what Tanner had started. With two unique Mitsubishi Starions behind his garage door, Mikie is bringing back the ‘80s with a few touches from the future, keeping Mitsubishi’s forgotten child alive and powerful.